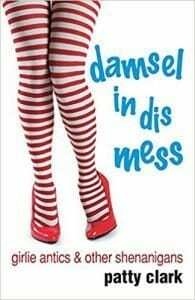 I’m really thrilled to have my long-time friend and author, Patty Clark, visiting this week for the launch of her new book, Damsel in dis Mess: Girlie Antics and Other Shenanigans. Patty and I have been best friends for over 30 years, so we’ve watched each other go through many trials and tribulations. We’ve also witnessed many miracles and fun times. It’s exciting to see how Patty has taken her hysterical memoirs and turned them into a book as a way to make others laugh and to pass her story to her children. Some have called Patty the new Erma Bombeck. Writing was simply her way of staying sane during some very challenging times. Today, Patty is living the life of her dreams just a few steps from the Pacific Ocean with a man who adores her. She had a vision of the life she wanted, and she manifested it and never lost faith. 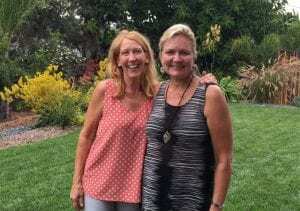 Watch for my interview in July with Patty on Smart Women Talk where we will share a story of an amazing life-changing miracle we both experienced many years ago. Don’t miss my new interview with Denise Ann Taylor, a brilliant woman who has carved out a very interesting niche in the career coaching and consulting market. For all you entrepreneurs out there, my Smart Money Tip this week is for you because I share the exact system I’ve used for over 30 years to manage incoming business income. It’s a system that can help you build great wealth and sleep better at night! So simple, but sadly, not many actually do this.